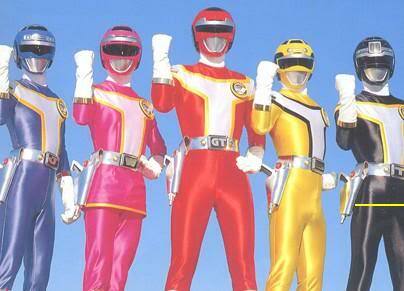 The Kyôryû Sentai Zyuranger, that became Power Rangers in America. Last week we talked about Kaiju (怪獣) movies, or Monster movies, with monsters like Godzilla, Rodan, and Gamera. We also mentioned in that post that the Kaiju genre is a form of Tokusatsu movies. Tokusatsu (特撮) means “special photography”, and the name refers to movies with a lot of special effects in them. This week we return to this type of movies, to look at a different genre: the Super Sentai Series! Super Sentai Series (スーパー戦隊シリーズ) got it’s name from the Mechas, or Super Robots, that the heroes commonly use, and from the Sentai (戦隊) which means “task force”, or “fighting squadron”. There are two more genres in Tokusatsu, which are related to the Super Sentai in style, and they are the Ultraman Series, and the Kamen Rider Series. We will come back to these in the future. 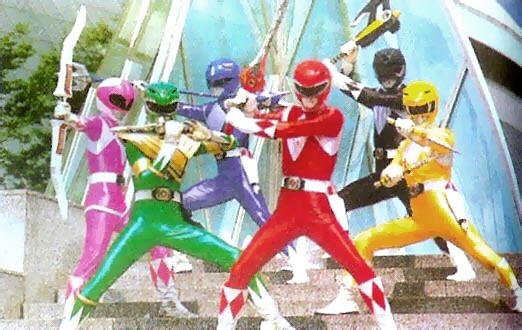 The typical format of a Super Sentai Series is the illustration of the fight between good and evil. The good side usually consists of 5 people, but sometimes less than that. These heroic main characters receive super powers, in one way or another, which can be magical or technological in nature. 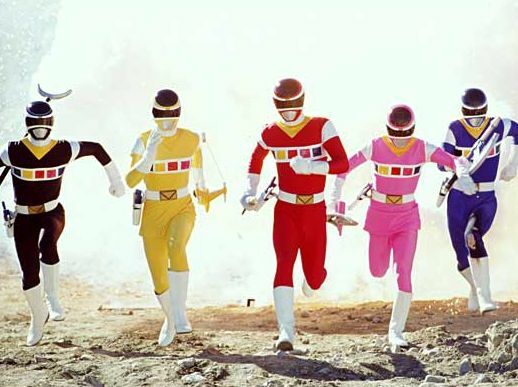 And they are easily recognised by their characteristic colour-coded uniforms, with red, blue, black, yellow, and pink as the most common colours. They usually fight with advanced weapons, martial arts skills, and with robots/mechs against the forces of evil. Speaking of which, the forces of evil are usually threatening to conquer or destroying the world. Every week the heroes will have to fight through an army of underlings, and a “monster of the week”. This monster fight is usually not an easy task, and usually ends up in the monster transforming into a giant version, forcing the heroes to assemble/transform their robots into an equally big version, and the fight continues, until our heroes win. 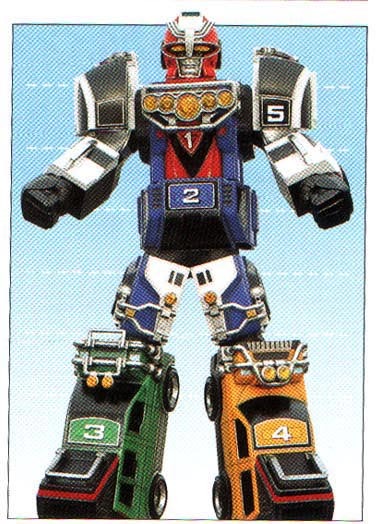 The many different Super Sentai Series have been somewhat distributed outside of japan, with France, Spain, Portugal and Brazil airing a few of the earlier series in the 70’s and 80’s. Hawaii has seen a long tradition of airing the series’ on Hawaiian television, in its original Japanese, with English subtitles. Sacramento, Los Angeles and the California area has also had a few series shown on local television. The list can be made much longer, and there are tonnes of movies, OVAs, and other productions besides the series. 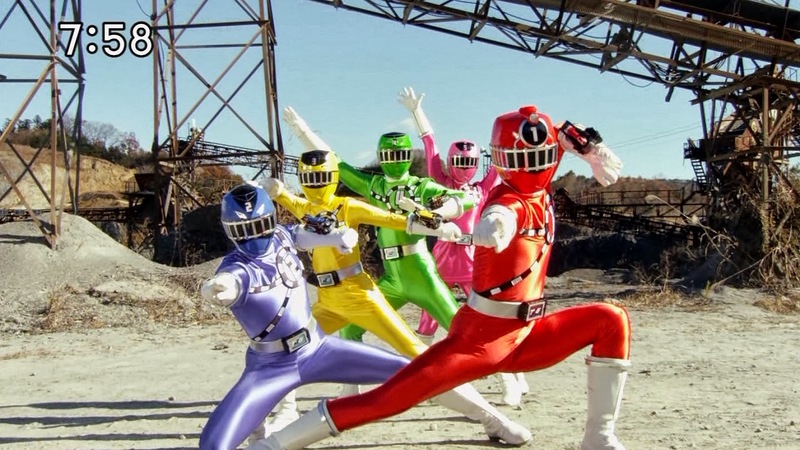 And since the Super Sentai phenomenon has been around since the 70’s, it has shown up in many other places, such as video games, game shows, and other television shows. There has also been a lot of parodies and spoofs (one funny one in particular you find Here! ).